WHEN a mine disaster strikes, sending in rescue teams can be fraught with danger. 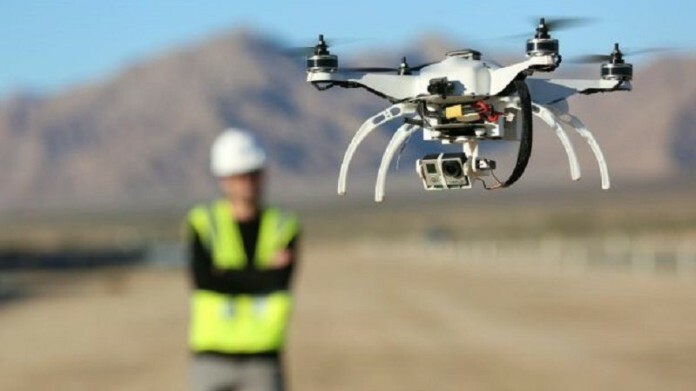 One solution that the Wits Mining Institute (WMI) has been working on is to develop a drone to check whether or not it is safe to send humans to the scene. Fred Cawood, WMI’s director, told Miningmx on the sidelines of Mining Indaba 2019 that the school had now built two prototypes that were being tested at its mock mine facility. Six post-graduate students are working on the project with funding being provided by the Mine Health and Safety Council. Compliance is another potential use, to make sure support systems for example meet industry standards. “Another use is to use it as a canary so you can detect gases and poor air quality,” Cawood said. Could it be used to detect illegal mining activity underground, complimenting drones that are being deployed for that purpose above ground? “Yes, but then you need to give it legs to run away because the illegal miners won’t like it,” Cawood said with a laugh. Speed and flexibility are among the advantages of drones in some situations compared to other unmanned technology such as robots but technical constraints remain. The drones have to be small, about the size of a laptop, to navigate through mines. “It’s very difficult in a tunnel environment,” Cawood said. When could the technology reach a commercial stage? “We’re not in this space yet. This is new territory for universities. When we started the school it was about building people, not building technologies. As it happens, this generation of graduates is capable of doing more things, and are becoming far more applied,” Cawood said.